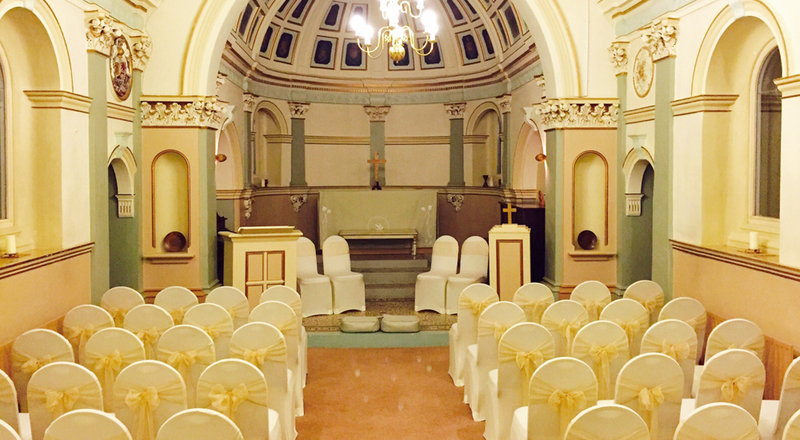 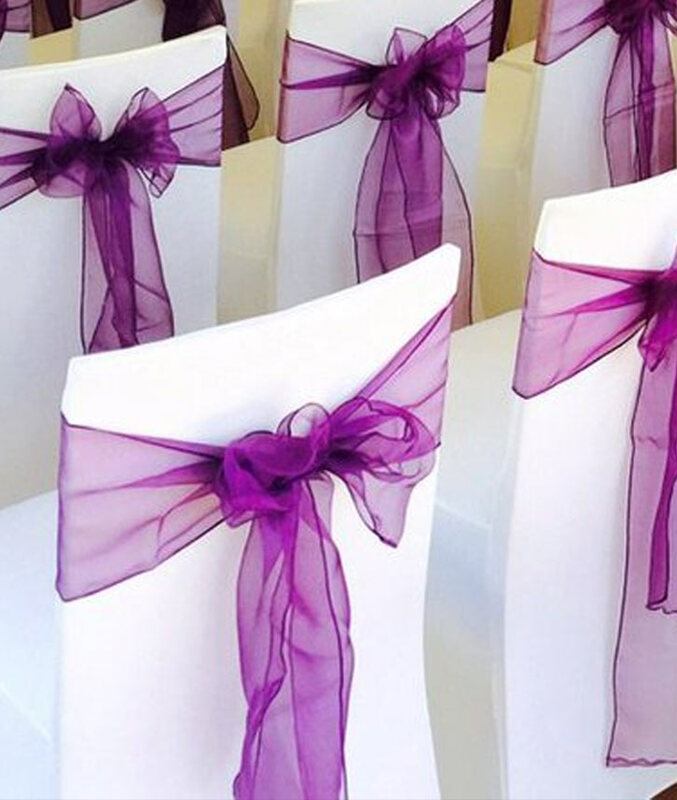 Here at Solid State UK, we offer a wide range of chair cover sashes to suit each of our clients individual tastes and colour schemes. 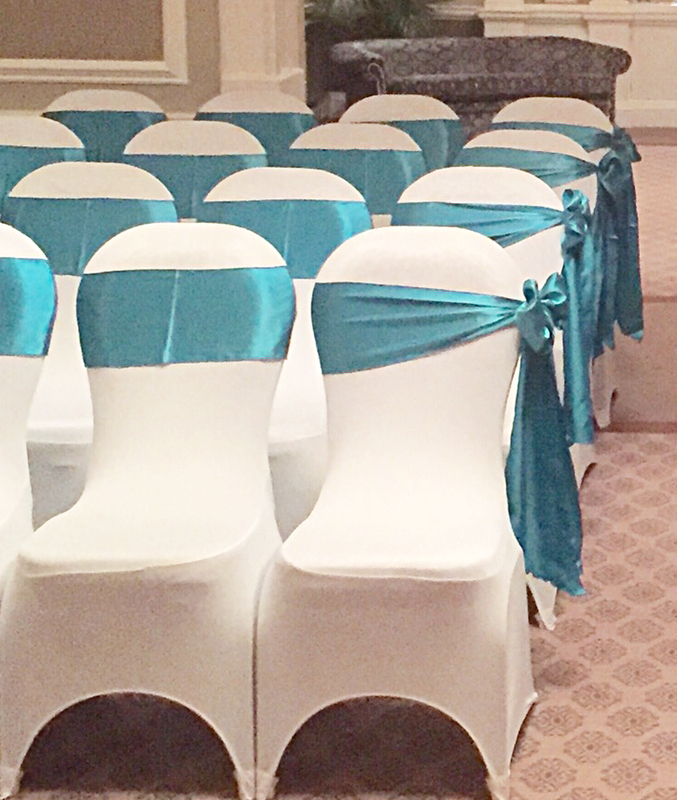 Each of our sashes are hand tied to each chair, ensuring that they are well presented and are consistent with each other. 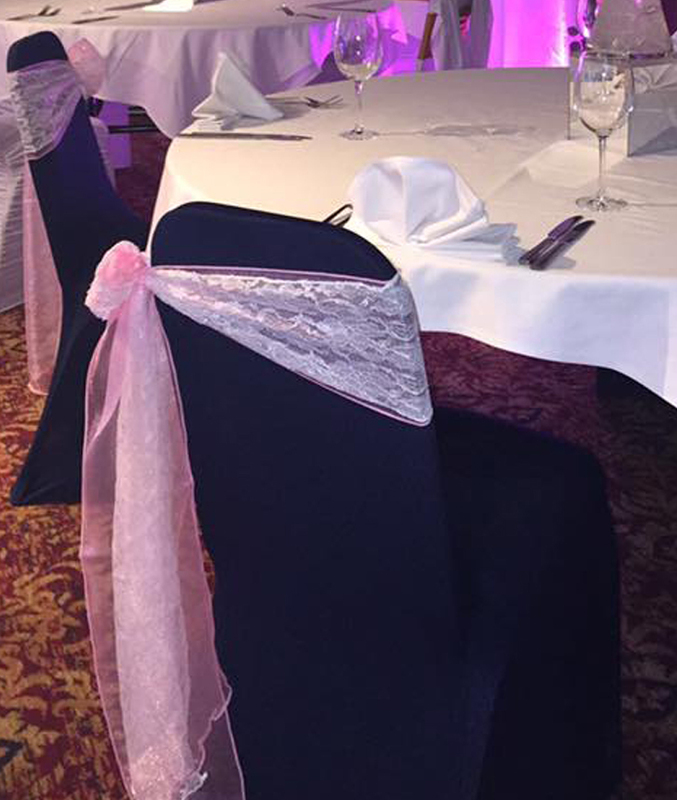 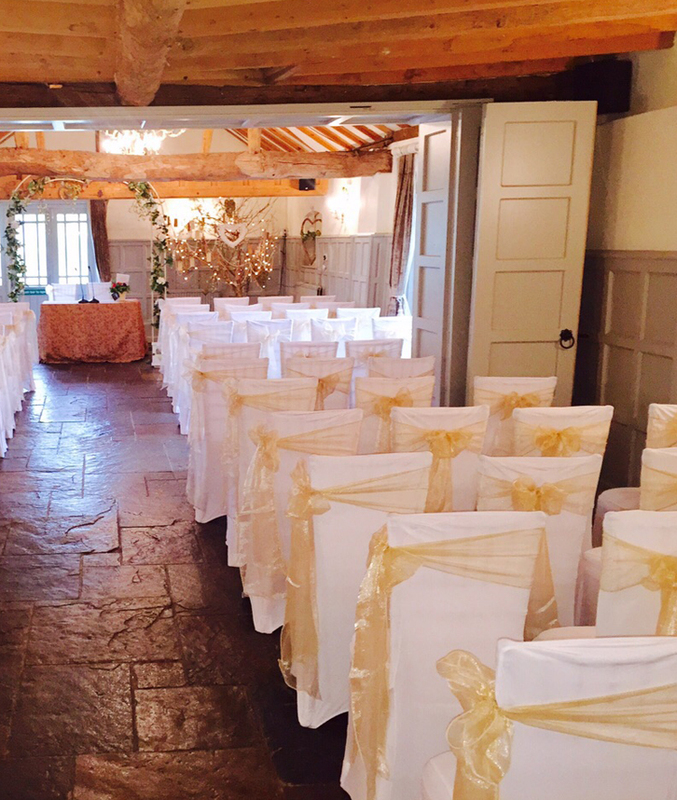 Add a touch of luxury with our satin finish sashes or a vintage twist with our hessian fabric ones. 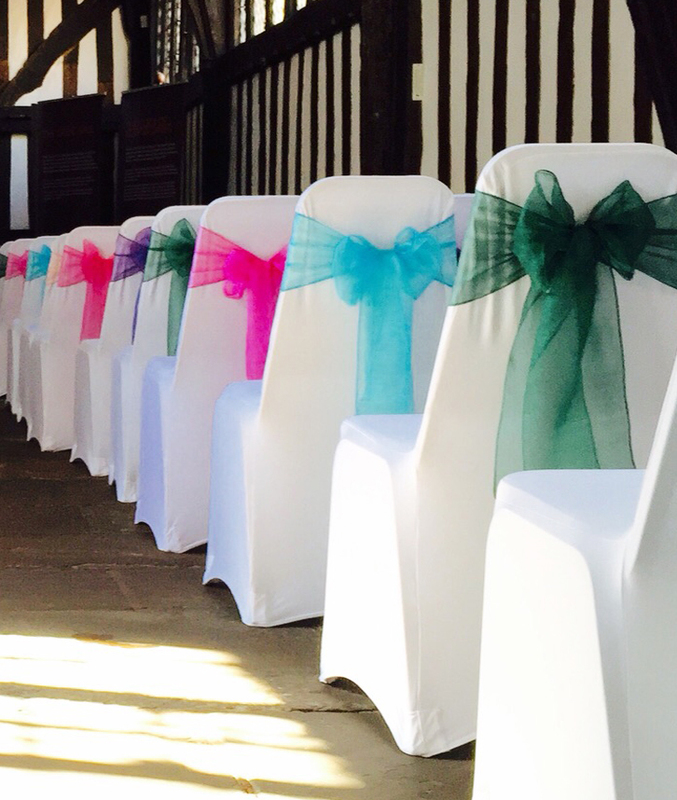 We have a wide range of colours available and in a variety of shades to, covering a variety of colour combinations. 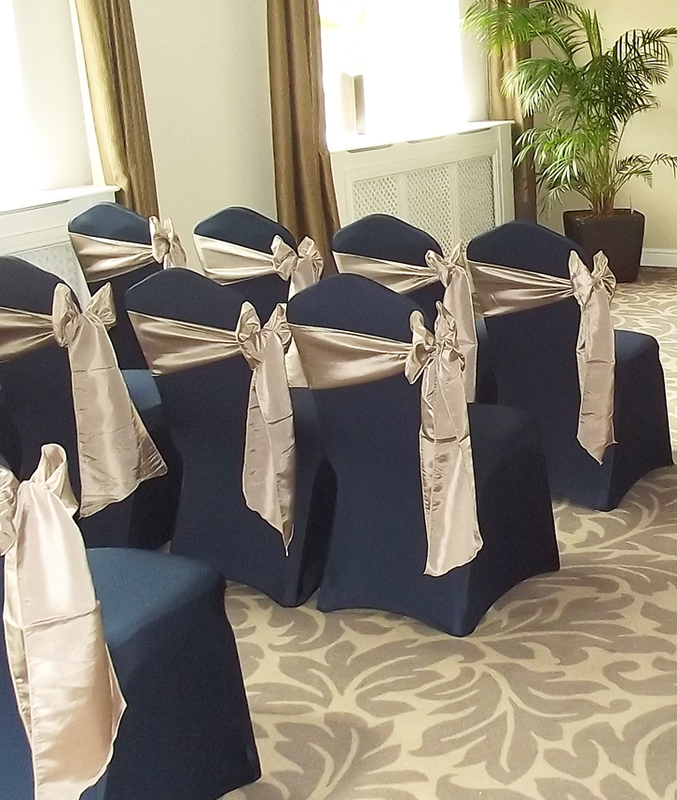 Let us know your thoughts and ideas and our team will work with you to achieve exactly what you are looking for.